Be warned, if you did not watch the Season 2 finale of Hannibal, "Mizumono" on Friday night, there will be plenty of spoilers below. The finale featured several shocking developments, including Hannibal (Mads Mikkelsen) leaving Will (Hugh Dancy), Jack (Laurence Fishburne) and Alana (Caroline Dhavernas) bleeding out in his house, as he takes off on a plane for Paris with none other than his psychiatrist, Bedelia Du Maurier (Gillian Anderson). Series creator Bryan Fuller offered new details about Season 3, which was ordered by NBC earlier this month, revealing that they are changing the origin of Hannibal Lecter from the Thomas Harris novels, specifically Hannibal Rising. "Season 3 is going to be a lot of fun because it's going to be taking a lot of disparate elements from the novel Hannibal Rising and the novel Hannibal and mashing them up together as part of the thrust of the season. It's going to be fun to bastardize two novels into one sort of Frankenstein season. I will brace everybody right now: We're significantly changing the Hannibal origin story from Hannibal Rising." The executive producer also revealed that the elements of the novels won't exactly play out in sequential order, with the upcoming season touching on aspects of all the books except Silence of the Lambs, including the introduction of characters like Francis Dolarhyde and Lady Murasaki. "The books won't necessarily be in sequential order. We'll be hitting elements of each of them except Silence of the Lambs in the next season. 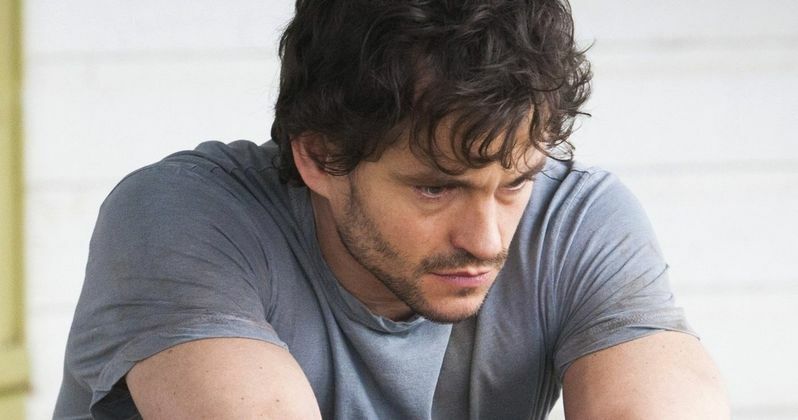 My hope is that not only do we have a completely different Hannibal Lecter story in Season 3, but we will meet some of those great characters like Francis Dolarhyde and Lady Murasaki and weave them into the world in a unique way." As to why Bedelia was on the plane to Paris with Hannibal, Bryan Fuller had this to say. "The answers to exactly why Bedelia Du Maurier is on a plane to France with Hannibal Lecter is all part of the first episode of Season 3, which will essentially function as a new pilot for a new series because everything's different." When asked if Gillian Anderson will have an expanded role in Season 3, he revealed that he hopes she will be back as a series regular, although nothing is set in stone yet. "She's a very busy lady. But if I had my druthers, she'd be a series regular in Season 3." Bryan Fuller also said that he hopes his writing staff has more time to prepare for Season 3. "We're having that meeting Tuesday. I'm hoping we start production a little later this year because we had very few weeks in the writers' room before cameras started rolling, and it was hard to keep up. I'm hoping we have a little bit more time in the writers' room. Because this season is so different and it is such a departure structurally from what we've been doing in the first two seasons, I want to make sure we've thought it through very well." He also teased the lingering questions that will be answered in Season 3. "One of the wonders of this season is: Will Alana survive and will Jack Crawford survive? Will Abigail Hobbs survive? Those are things that are going to be revealed very slowly at the beginning of Season 3. I'm speaking of everybody in that house that was dying. And it doesn't just mean that only one person could be dead."